Recommended for : Water from many sources - municipal, borewells, tankers. RO technology : Unique RO technology membrane removes excess TDS, blocks dissolved impurities and chemical contaminants, while retaining essential minerals in the drinking water. Unique e-Boiling+ : Ensures that every drop of water is as pure and safe as water that has been boiled for over 20 minutes. TDS Regulator : Advanced TDS regulator adjusts the purification process as per the source of water, thereby providing 100% healthy, safe and tasty drinking water. Complete protection : Eliminates tough new age contaminants like lead, pesticides and heavy metals from water. It also ensures that water is free from disease-causing bacteria, virus and protozoa. Large Storage Capacity : It comes with an 8-litre in-built storage tank. Thereby ensuring purified water on tap, all the time. Aquaguard Reviva RO + UV water purifier delivers the benefits of both RO & UV technology. 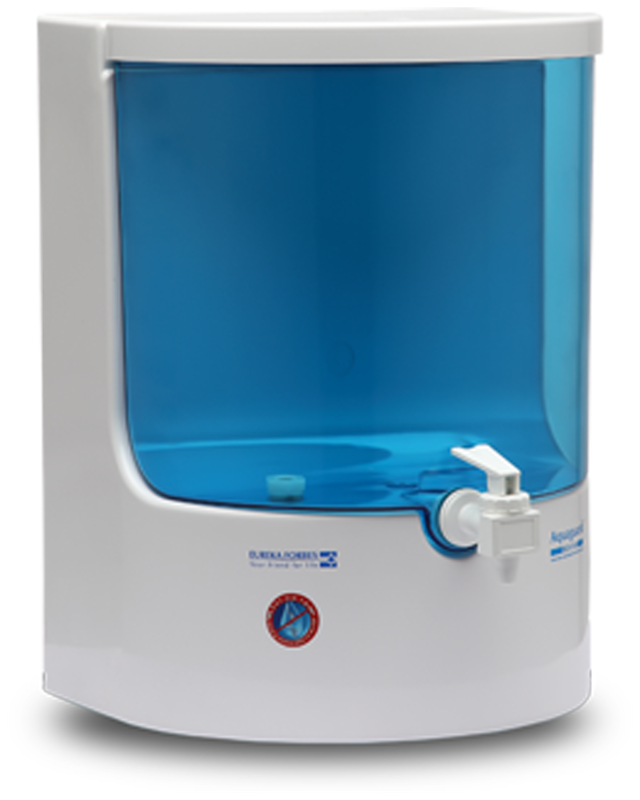 Its advanced TDS regulator adjusts the purification process as per the source of water. Its unique RO technology membrane removes excess TDS, blocks dissolved impurities and chemical contaminants while retaining essential minerals in the drinking water. Its unique e-boiling+ technology eliminates disease causing bacteria, virus and protozoa ensuring that every drop of water you get is as pure and safe as water boiled for 20 minutes. Only Aquaguard, with Advanced Mineral guard technology removes dangerous new age contaminants like lead, pesticides, while retaining essential natural minerals in water, that other RO purifiers deplete.